VW's ad campaign focuses on people instead of technology. Volkswagen is launching an advertising campaign in Europe this month that will also roll out globally aimed at winning back trust and sales lost through its diesel emissions-cheating scandal. The campaign, which VW describes as "emotional," drops the slogan "Das Auto" previously used by the automaker in its marketing. VW said it replaced the slogan because its new marketing focus is returning to people and their relationships with the company's products rather than on cars, design and technology. "An amazing number of people all over the world associate our vehicles with memories, because a Volkswagen is a part of their lives," Juergen Stackmann, VW brand sales chief, said in a statement. The campaign coincides with the start of VW's recall in Europe which covers up to 8.5 million diesels. "We have lost credibility and trust in recent months. We are now doing everything we can to win that back," he said. VW's vehicle sales have been hit by the company's admission in September that it rigged diesel engines in up to 11 million group vehicles worldwide to cheat emissions tests. VW brand sales fell 14 percent in the UK last month and declined by 8.6 percent in Germany. The campaign begins in VW's home market of Germany this month, as well as in the UK, Spain, Portugal, Austria and Switzerland. It will then be rolled out in other European markets and the rest of the world starting in March. The campaign will cover TV, print and online media. It includes a TV advertisement that shows a family progressing through different stages of life ... with a Volkswagen always there along the way. Instead of "Das Auto," it ends with tag line: "Then. Now. Always." 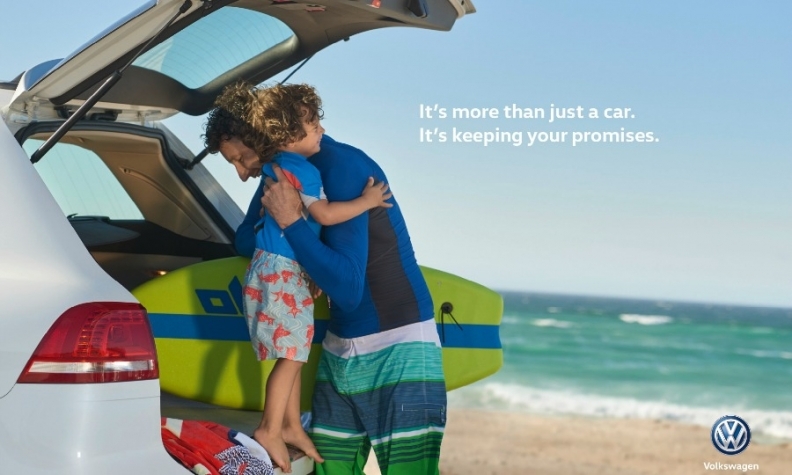 The DDB marketing communications agency worked with VW on the campaign.